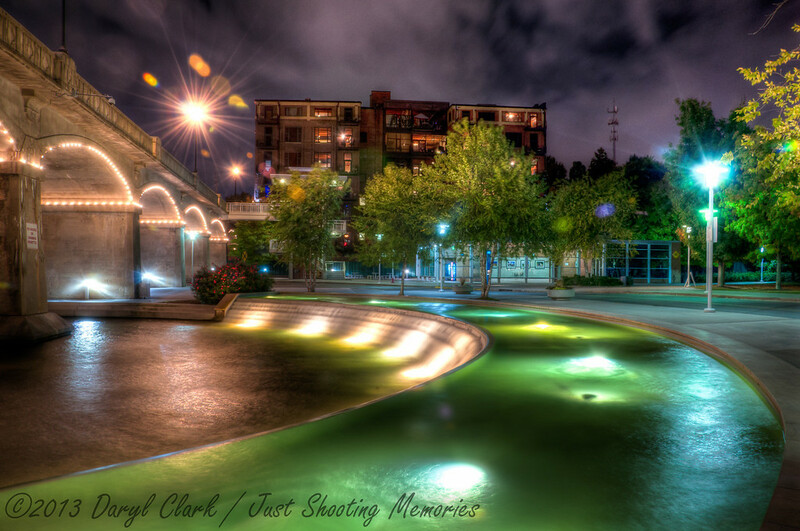 The Curved Fountain | Just Shooting Memories! Sorry I have missed the last couple days. I have spent the last 10 weeks in east Tennessee and have finally made it back home. It was a fun time and fortunately, I was able to get out with the camera and get some shots in Knoxville and the surrounding areas. In 1982, Knoxville was the host to the World’s Fair. I was fortunate enough to make it there and my only memory was standing at the bottom of a ramp or something similar. After walking around the World’s Fair park, I believe my memory was of somewhere near where the Sunsphere is located. This is one of the fountains near the base of the Sunsphere.